Follow these steps to export your campaign data. Use this action to export data from campaigns. Navigate to your account page. This is your organization's name in the top right hand corner of the platform's webpage. 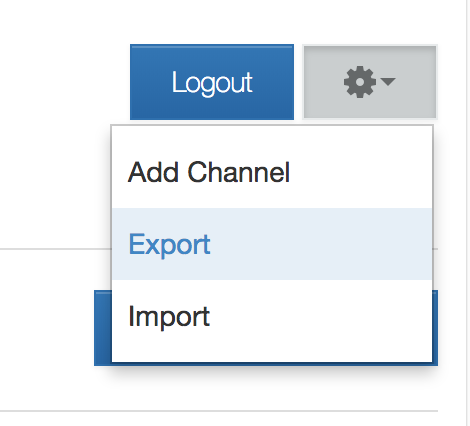 You will land on the 'Create Export' page where you can choose to export individual campaigns and flows or groups of campaigns and flows that we've determined work together. 5. Select the 'Export' option at the bottom of the page. 6. A JSON file will begin downloading in your browser.